Rocket Media is a customer-focused digital marketing agency. 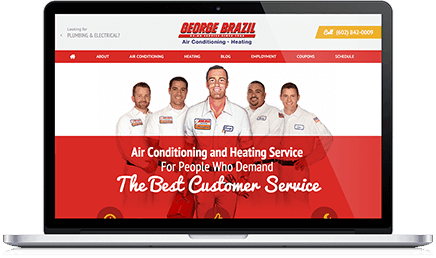 We create custom websites for the home service industries that allow our digital marketing services to attract more search engine traffic and generate high-quality leads. For over 15 years, we've worked with 100+ HVAC, Plumbing, Security and other home service companies. See our best work. 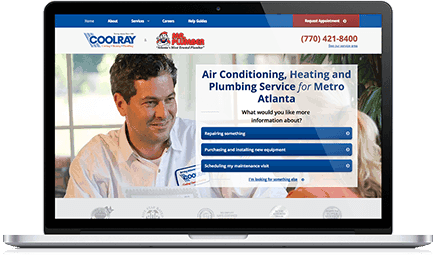 Stand out from your competition with a website that's tailored to your brand, your services and your business goals. Customers will contact you with ease on their smartphones since your beautiful website can adjust to any device. Also, your website will rank higher since Google rewards mobile-friendly websites. 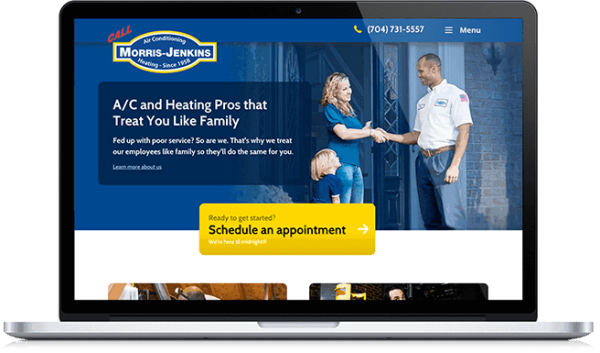 Having worked with 100+ HVAC companies, we know how to target the right keywords that bring in quality search traffic to your website. Get content that accurately explains why customers should choose you over your competitors. Don’t worry, our writers know your industry like the back of their keyboards. Get traffic. Build credibility. Stay top of mind. We’ll write educational blog posts every month to bring in loads of quality traffic and establish you as a trustworthy company. Also, we can craft professional newsletters that keep you in front of current customers, so you’re top of mind year-round. We’ll work with you over time to update and improve your website. You’ll get data-backed advice from us as we do user testing, A/B tests and web surveys. Years of PPC experience with the service industries, allowing us to be more effective with your budget. Quality analytics, so you’ll see how well you’re performing. Regular meetings to discuss how to tweak your campaigns based on your goals and budget. We're not just worker bees. We're your expert consultants. Let's chat about your digital marketing project!